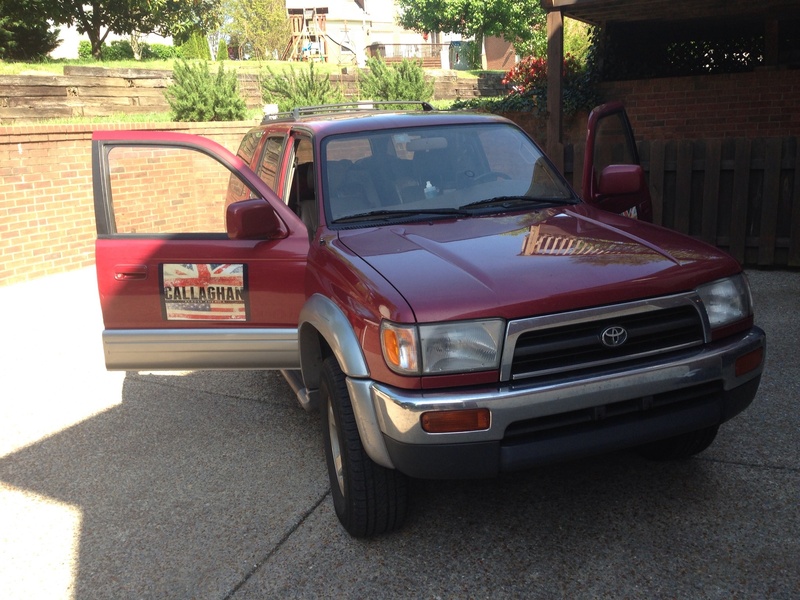 After many months of planning and talking about it, the “Callaghan Across America” Tour has finally begun! The last 3 days have been spent driving from my home in Nashville to the start of the tour in Boston. Tonight will be the first show, and then there will be 25 more that will take me all across the country to San Francisco. I’m looking forward to meeting lots of cool people, seeing new places and playing some new songs I’ve been working on. Here is a video for a song from my upcoming live record, to be released on July 1. This song was recorded live in a stud in Nashville and is a foot-stomping, hand-clapping anthem all about leaving someone! I hope you all enjoy it, and have a great weekend! 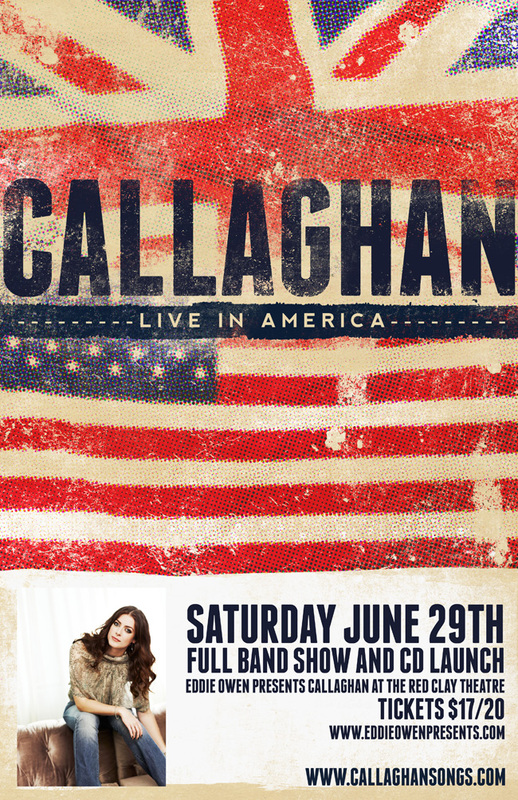 My new album “Callaghan Live in America” is coming out very soon – on July 1st. I can’t wait! This song, “When You Loved Me”, is one I wrote recently with amazing writer and friend of mine, Angela Kaset. Side A of the record is Live on Stage with a full band. 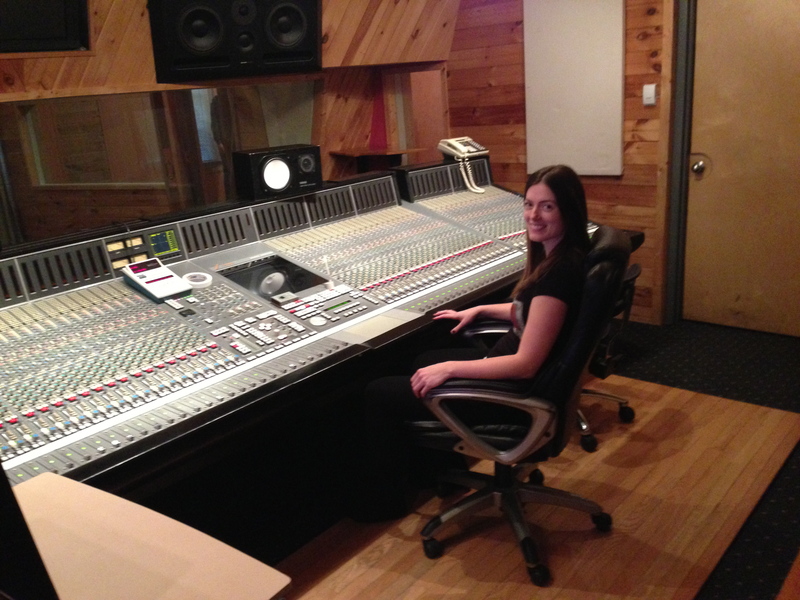 Side B is a live acoustic session recorded at Quad Studios Nashville. ‘When You Loved Me’ is from the acoustic session. The idea for the song came from a conversation with a friend who is in her 80s. We were talking about her first love in New York City when she was a teenager and how she had always wondered what had happened to him and how things might have worked out if they had met at a different time in their lives. It’s funny how memories of that first significant love stay with you even though you go on to have other wonderful relationships. I guess these days you can check out that first love on Facebook! But there’s something special about the way things used to work in the days before social media when that first special person could leave you with memories that last a lifetime. Feel free to share this song with anyone you think might enjoy it. After months of planning, decision making, and experimenting, the countdown has finally begun. My new live CD will be coming out on July 1st, and I can’t wait! The record is an album of two halves. The first half, a live recording of songs from my full band show at The Red Clay Theatre in Duluth, GA, and the second half, songs from a live session at Quad Studios in Nashville TN. 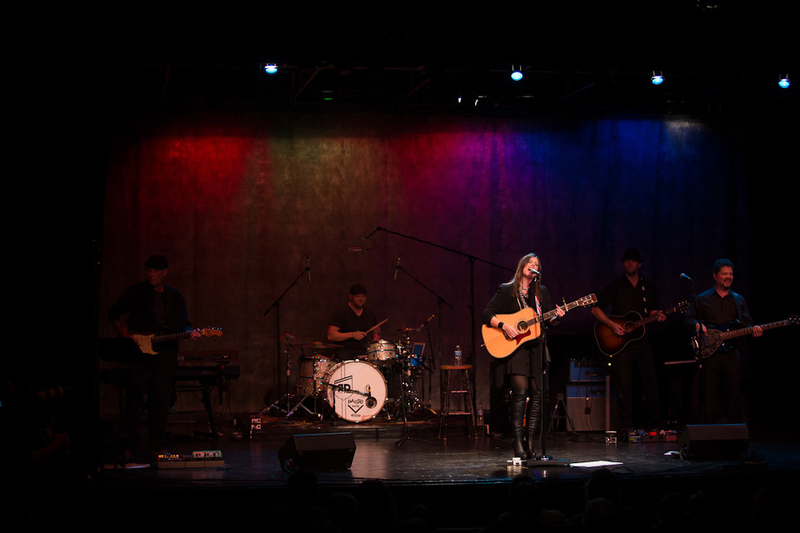 I love the way the record feels like a true representation of a live show – acoustic and intimate as well as full on rocking out. The process of recording each half of the album couldn’t have been more different. As someone with an impressively large collection of live CDs and DVDs, I thought recording the live show would be no problem. How wrong I was! What I hadn’t fully realised was that most artists record a live album or DVD during a tour, taking the best performances from several different shows. However, as an independent artist relying on favours from friends to help with the recording, that was not going to be an option. It had to be one show, one night, one take. Quite a challenge, but I love the energy that was captured, and in some ways there is nothing more real than doing it this way. The Nashville studio session presented different issues. I was really excited about getting to record the old-fashioned way where a bunch of musicians all get together at the same time, in the same room, and someone presses the record button. Just how I imagine one of my all-time favourite artists, Buddy Holly, might have made his records. The only change to how I had imagined things was that Greg (the producer) had set up each musician in their own little area so that every instrument wouldn’t bleed into every microphone. It was such a thrill getting to record playing and singing at the grand piano, and looking over my shoulder to see Donnie playing the violin part live at the same time. To give you a little preview taste of the live album I’ll be posting some listening videos to my YouTube Channel over the next few weeks, starting on Monday. To keep up with all the news on the album release and lots more, come say hi on my Facebook Page. Jelly and Ice-cream, chocolate cake with Cadbury’s chocolate buttons, numerous books and videos of Noddy’s adventures, and a super cool wooden car complete with hippy-looking driver. These are just a few things that go into making up the perfect two-year old’s birthday party. The birthday boy in question this time was my gorgeous nephew, Noah. Having just flown in from Nashville a couple of hours earlier, I was so pleased to be able to celebrate the day with him. I’m not sure how much he understood of the concept of birthdays – indicated by the fact that when my sister asked him who had brought all of his lovely presents his reply was “Santa”. Oh well. 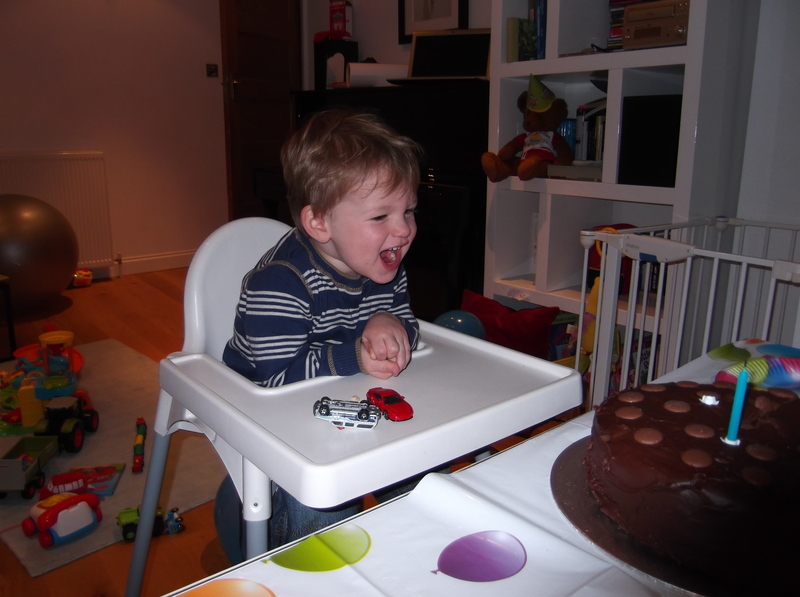 But he certainly looked like he had fun with them, and nothing summed up the pure joy in the eyes of a two year old as when his giant chocolate cake was placed in front of him. While some people are addicted to reading the latest fashion magazine or finding out the gossip on the Hollywood grapevine, there is nothing I find more relaxing than sitting down with a good cookery book and reading it cover to cover. Although I enjoy looking at lots of food related books, it’s really the desserts that get me going. For me, combining a few simple ingredients to create the most heavenly treats is one of life’s purest pleasures. While I don’t usually need an excuse to start flicking through the brightly illustrated pages, this time there is a definite reason. The friend who owns the house I’m currently staying in is having a dinner party and I volunteered to make dessert. And this particular friend also happens to have been a food writer in years gone by so is not easy to impress! 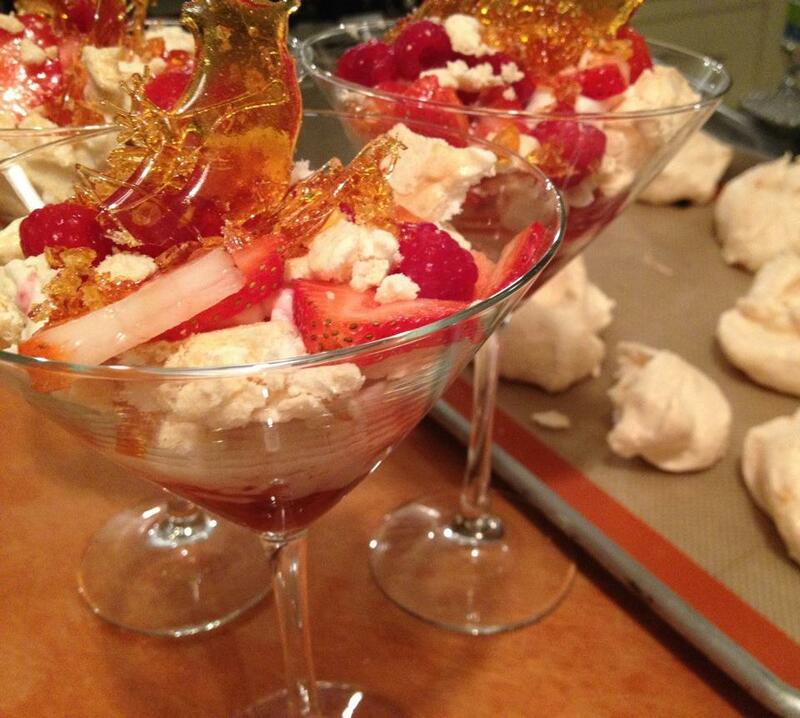 For our last little gathering I made a variation on the British recipe for Eton Mess, adding some caramelised peaches and spun sugar pieces, and it went down a storm. So the pressure for a repeat success is on! When I last visited the UK I brought back a cookbook that looked like it would stand me in good stead for some culinary reminders of home – Jamie’s Great Britain. It has some fantastically British sounding recipes in it like “Bubble and Squeak”, “Wee Scotch Eggs”, “Queen Victoria Sponge”, and “Humble Pea & Ham Soup with Fluffy Dumplings”. That last dish is so British in fact that when the Capital was at its smoggiest, Londoners used to refer to a low visibility day as a “real Pea Souper”. And of course the book wouldn’t be complete without a recipe for the dish loved by children and adults alike, and the very first thing I ever learnt to cook myself – Jam Tarts. But I think this dinner party might call for something slightly more sophisticated than a plate of Jam Tarts, so the search continues. The good thing about a task of this nature is the almost mandatory sampling of many kinds of puddings. Incidentally, one of the many interesting “lost in translation” moments since moving to America was finding out that “pudding” in the US refers to a smooth custardy dish, not simply as another name for any dessert as it does in the UK. I found a trip to the Nashville Famers‘ Market was the inspiration that I needed, and with all the fresh and tasty looking apples that were in season, I decided to go with one of my favourite British recipes, Apple Crumble. 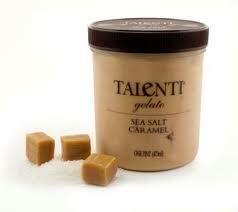 I usually serve apple crumble with hot custard or cream, but an even more perfect accompaniment I found was a recently discovered ice-cream by Talenti, called Sea Salt Caramel. 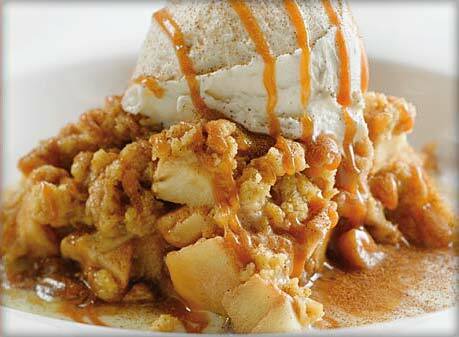 I think this particular ice-cream goes perfectly with just a spoon, but on apple crumble it’s also fantastic. It’s a pretty decadent treat. My last blog left off on Thursday night, the day before the Boston show. We were driving from Philadelphia to Boston. A drive that Google Maps had suggested would take about 5 hours ended up, due to unexplained traffic jams, potholes on the New Jersey Turnpike and hold ups, taking 9 hours. The romance of the road really seems a little absent on those kind of journeys. As we finally made it into Boston the time was 7:45pm and I was due on stage at 8:00pm. There was a baseball game on so there was no where to park, I was in my travel clothes, had no makeup on, and had a truck full of music gear which had to be loaded into the venue. I knew the show couldn’t be delayed as it was being webcast live on the internet. After all those hours sitting in the car trying with all our might to get to Boston, I thought it would surely all be for nothing and the show would start without me. But sometimes incredible things happen on tour and you surprise yourself how fast you can move. As we pulled up to the venue, and double parked, a group of people came rushing out to help load in. While the crew set up and line checked all my gear I headed to the dressing room, threw on some clothes and makeup in 8 minutes and ran onto stage right at 8:00pm. The room was heaving with people and the crowd were fantastic. After all the stress and endurance of getting there, it turned out to be one of the best shows of the tour. Thanks everyone at Cafe 939, The Red Room, Boston! The tour continued to be a lot of fun, dueting with Matthew Perryman-Jones and Matthew Mayfield during their sets, to great audiences. A few days later I started to get that sinking feeling that all singers get when a cold is coming on. With each day my voice was getting weaker and the pressure in my head was increasing until I felt it was going to explode. I tried my best to keep on singing but it was incredibly frustrating willing my voice to work and feeling helpless. It’s hard to make sound vibrate through a stuffed up nose! I tried all manner of remedies to keep me going including menthol inhalers, vitamin supplements, cold and flu potions, a family remedy of a good old Irish hot toddie – its effect was very soothing in the short-term! A kindly couple, husband and wife preachers, even offered to lay on hands and seek divine help to keep me singing – I should perhaps have accepted their offer because the cold kept getting worse. In the end I ended up having to pull out of two shows and spent 3 days in bed trying to get as much sleep as possible. It was only until the very last night of the tour that I felt back to myself again. Thankfully the venue, The Altamont in Asheville NC, was a great place to finish the tour – the video above was taken there. Things really finished on a high as all three singers, band members and tour management retired to an Asheville Karaoke bar to entertainingly (to ourselves at least!) re-interpret some classic tunes. I’m learning with each tour I go out on that you can’t control everything, and the best way to get by is to expect the unexpected. I’m looking forward to spending this month in Nashville and getting to write lots. As much as I love being on the road, sometimes sleeping in the same bed each night feels so good. One thing I was less happy about was the not-so-small intruder I found crawling along the corridor of the house when I returned. 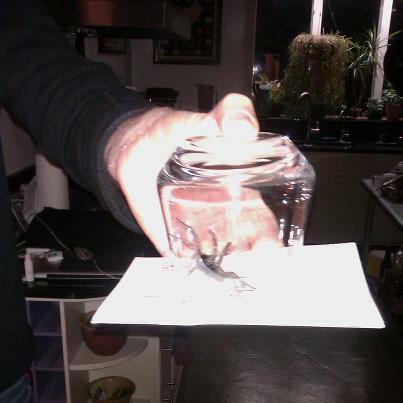 Now that looks like a spider that should be hunting outside the house! There are not many things I find more relaxing after a long tour than coming home for a few days and getting time to cook, or more specifically, to bake. I don’t know what it is about the sweet stuff that fascinates me so much (although getting to eat it afterwards is obviously one giant incentive!) but I love the different creations that can come from so few ingredients. Let’s be honest, when your main ingredients are butter and sugar, it’s pretty likely it’ll taste good. I’ve been staying in Nashville recently with a great friend who likes to throw parties a lot. It’s great for me not only because it means I get to meet loads of other cool people in Nashville, and not least because several of her close friends happen to also be professional chefs. Not a bad deal! At one recent party I wanted to contribute something to the overflowing table of food, and decided to make the dessert. A bit of pressure, making the only dessert while being surrounded by the city’s top chefs, so I had to pick a fail-safe option. 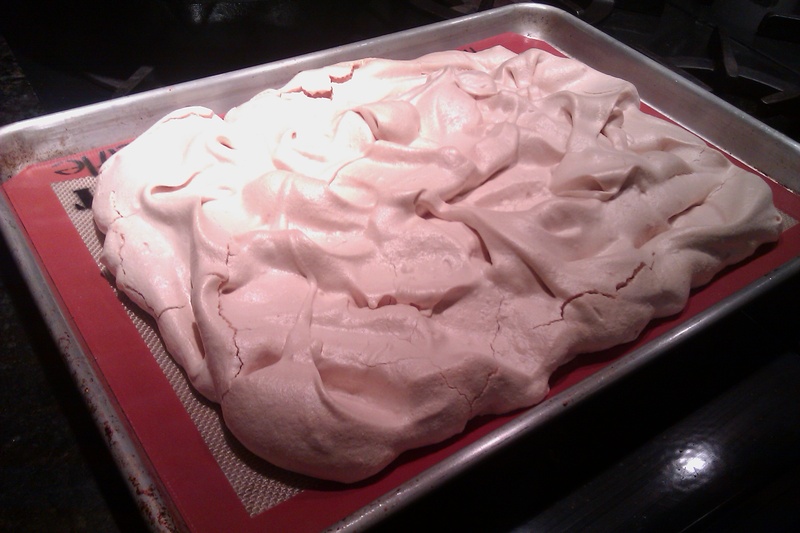 And there is nothing more fail-safe than homemade meringue. So easy to make, and completely irresistible when combined with large amounts of cream, mascarpone, sugar and fresh fruit. And I threw in some spun sugar too for some extra sweetness and crunch. I ended up making the recipe again the same week because I liked it so much. Line a baking sheet with silicone paper or parchment paper. To make the meringues, place the egg whites in a large bowl and, using an electric hand whisk or kitchen aid on a low speed, begin whisking. Continue for about 2 minutes, until the whites are foamy, then switch the speed to medium and carry on whisking for 1 more minute. Now turn the speed to high and continue whisking until the egg whites reach the stiff-peak stage. Next, whisk the sugar in on fast speed, a little at a time (about a dessertspoon), until you have a stiff and glossy mixture. Now all you do is spoon 8 heaped dessertspoons of the mixture on to the prepared baking sheet, spacing them evenly. Next, put the meringue on the centre shelf of the oven, immediately reduce the heat to gas mark 1, 275°F (140°C) and leave them for 30 minutes. After that, turn the oven off and leave the meringues to dry out in the warmth of the oven until it is completely cold (usually about 4 hours). Cook the peaches in a pan with a little cold water and a couple teaspoons sugar. Keep on a low heat and cook until softened. You can also add in a handful of the raspberries if you like. When cooked, put into a dish to cool. 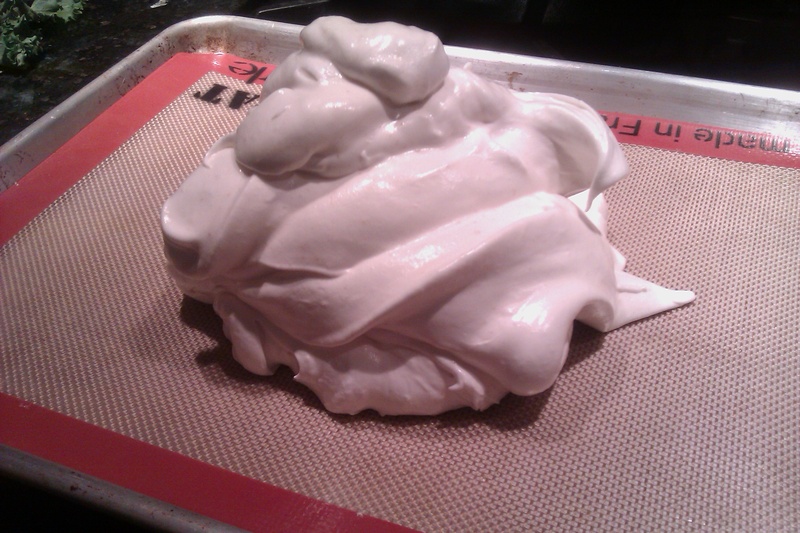 Break up the meringue and add to the cream mixture. Break some up fine, and leave some big chunks too. Once the cooked fruit has cooled, put in the bottom of your serving dish. Spoon the cream and meringue mixture on top. This is my mini blog about each of the songs that make up my debut album, “Life In Full Colour”, and the stories and inspirations behind them. “Life in Full Colour” is released on iTunes May 1st. In my last blog I mentioned co-writing, and this song “It Was Meant To Be”, happens to be another one of the co-writes on my album. Written with two other writers, one of whom was John Peppard (who also co-wrote the Grammy-winning song “In Another’s Eyes” by Garth Brooks and Trisha Yearwood). This song seems to be quite an audience favourite – both at live shows and people telling me it has been played at their wedding, which I think is so cool! “It Was Meant To Be” is an unadulterated, simple, straight-from-the-heart love song about the moment when you feel all the stars align and everything falls into place. 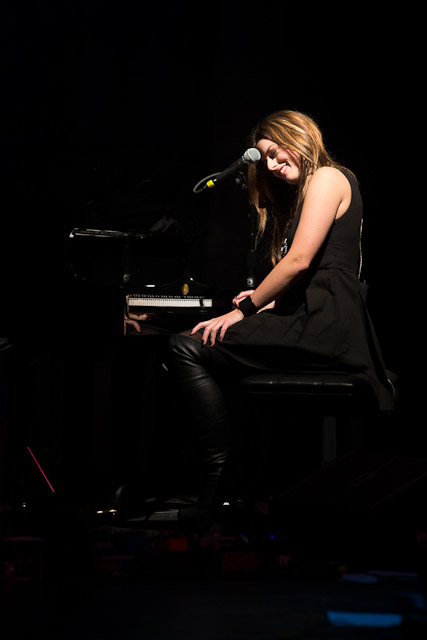 The song was written several years ago and has been recorded a few times in various different ways – stripped back and slowed right down on the piano (as on my EP “Nothing You Say”) to the full band version on the album. 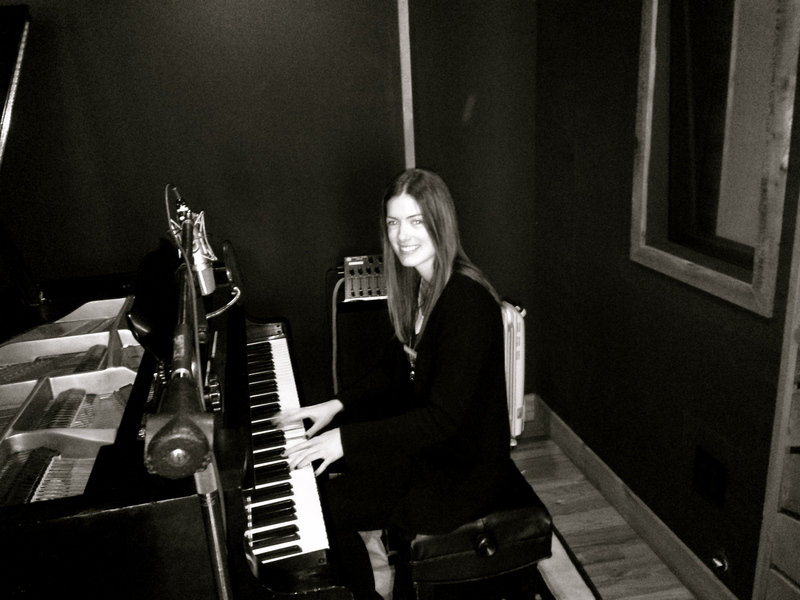 I really love the album recording and had great fun experimenting in the studio with new sounds like mellotron. I’m sometimes asked what it’s like to sing the same song over and over again. I have no idea how many times I have sung “It Was Meant To Be” but it’s probably in the thousands. There must be something special about this song though because I get something different from it each time I perform it. I have a feeling I’m still going to be singing it years from now and I hope it continues to connect with the people who hear it. It has taken me some time to figure out how to set this page up, but now that it’s here, I intend to use it! I chose the name “Brits and Grits” because, being a Brit living in the USA, there are some things,like Grits, that have taken me some time to get used to! I remember my first experience of eating grits was when I came over for a few weeks to Nashville back in 2007. I was staying in a hotel and saw them on the breakfast menu and decided to give it a try. I was seriously not impressed. I thought they had the consistency of wallpaper paste and even less flavour. Little did I know I had been misled by Instant Grits. Well, fast forward a few years and I’m now living in the US, after deciding to move to Atlanta to record my album with Shawn Mullins. And thanks to an introduction to home made grits in Gainesville, Georgia, I’ve become a BIG fan of that gritty goodness whether they come plain, with baked apples, smothered in cheese, or served up with a pile of fried shrimp! I’ve even attempted to make a (somewhat lumpy) batch of them myself. Practice makes perfect though so I’ll keep trying! So this blog is going to talk about all the weird and wonderful experiences of being a British woman living in the US of A. The food, the accents, the traditions, the every day and the extraordinary. And of course, as I’m a singer-songwriter, there’ll be a good amount of music chat too! So I’m looking forward to sharing my thoughts and hearing yours. 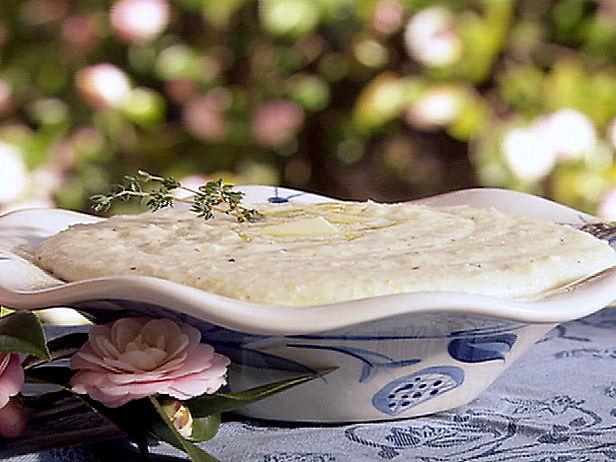 And what I really want to know is….how do you like eating your grits?